Powered by the deep pockets of ambitious billionaires such as Elon Musk and Richard Branson, booking a ticket to space is closer to becoming a reality than ever before. Before you get too excited, though, consider a seat on one of Virgin Galactic’s rockets will cost something to the tune of $250 thousand, making space travel as inaccessible as ever to the vast majority of us. In the meantime, there is perhaps no better way to experience the wonders of space than Salt Lake City’s Clark Planetarium. Located downtown in the Gateway Mall, Clark Planetarium’s mission statement is to “inspire wonder in learning about space and science.” And unlike the steep price of a commercial space flight, you can experience most of Clark Planetarium’s exhibits completely free of charge. The only thing you need to escape to outer space is a few hours of free time. 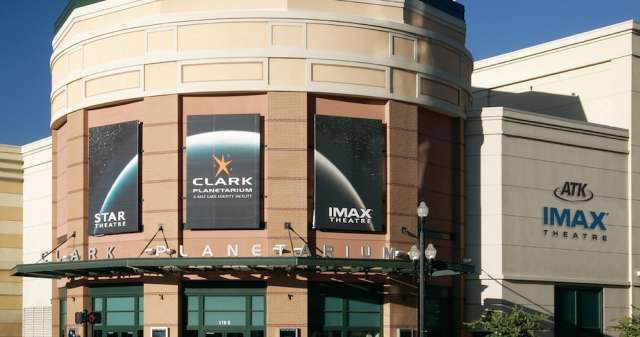 With over 10 thousand square feet of space, Clark Planetarium includes over 20 free exhibits, the Hansen Dome Theatre, an ATK IMAX Theatre, and a gift shop loaded with goods perfect for those stoked on science. 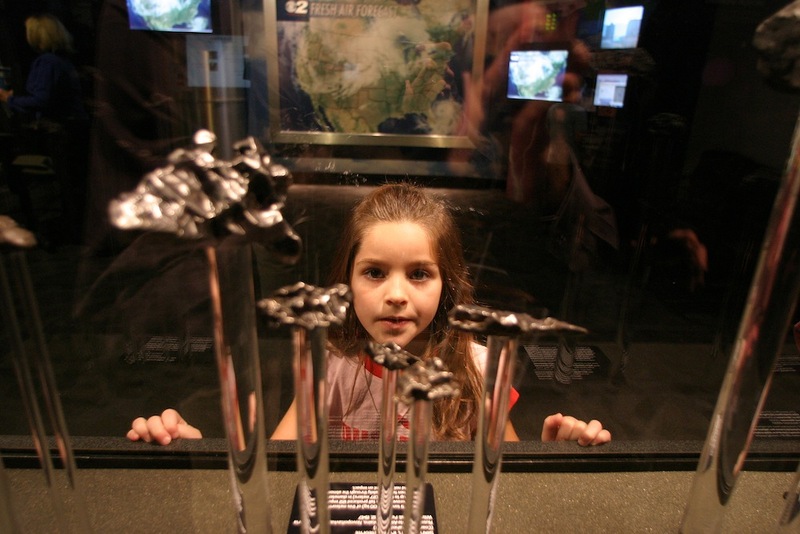 The experience is ideal for kids, but adults will find themselves fascinated as well. 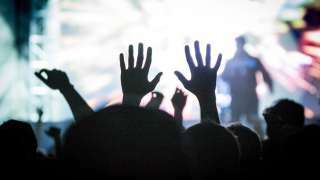 Plus, taking your kids to a cosmic light show set to music by Led Zeppelin or Pink Floyd has to be the best way to introduce them to some of your favorite tunes. Clark Planetarium’s free exhibits cover a range of topics on space and science—including some of the Hubble telescope’s best images; a collection of meteorites you can even heft in your hands; an authentic moon rock sample from the Apollo 15 mission on permanent loan from NASA; and a two story tall audio-kinetic sculpture by artist George Rhoads that immediately grabs your attention when you walk into the main lobby. For a more immersive entertainment experience, check out what’s playing in the Clark Planetarium’s two theatres. Tickets only cost $9 for adults and $7 for kids. The Hansen Dome Theatre was the first digital dome theatre of its kind built in the US. Two projectors with super high resolution project a seamless video stream overhead across the entire 55-foot tall dome. It’s a 360-degree 3D viewing experience unlike any video experience you’ve had before. For the ultimate music video experience, Clark Planetarium’s Cosmic Light Shows feature surreal digital visuals and choreographed lasers, set to Pink Floyd’s Dark Side of the Moon, Led Zeppelin hits, and Classic and Modern Rock playlists. The ATK IMAX Theatre is five stories tall, showing 3D videos with incredible 14 thousand watt digital surround sound. Just as impressive as the theatres themselves is the content produced in-house by the Clark Planetarium Production department. 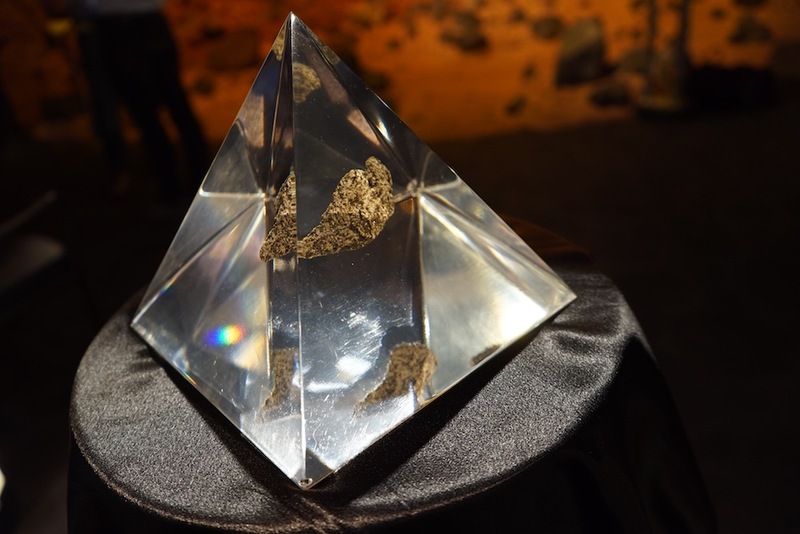 The production team carries on a decades-old tradition of producing original content which began with Salt Lake City’s original Hansen Planetarium more than fifty years ago. 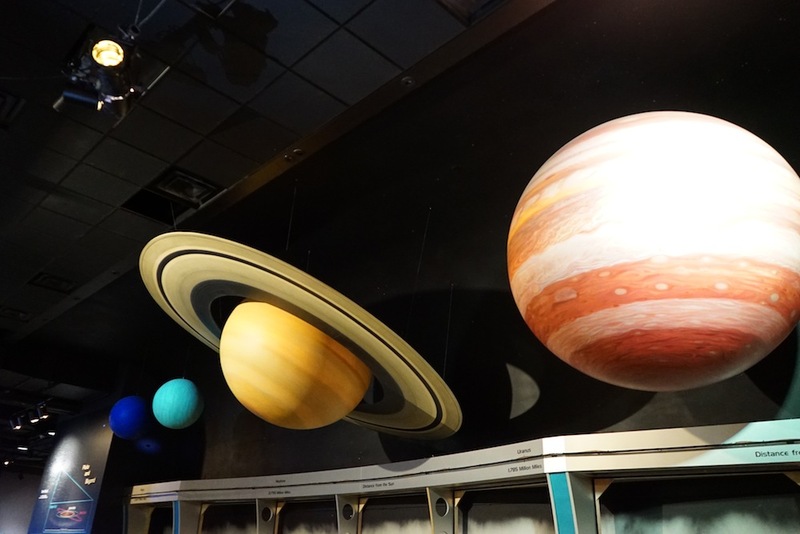 For an experience that’s truly out of this world, be sure to check out the Clark Planetarium if you have a few hours to kill, especially if you’re looking for activities suited to the entire family.